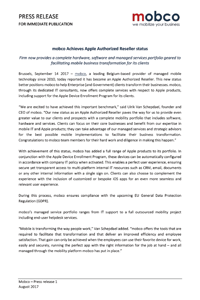 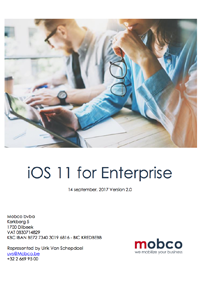 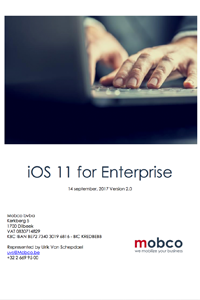 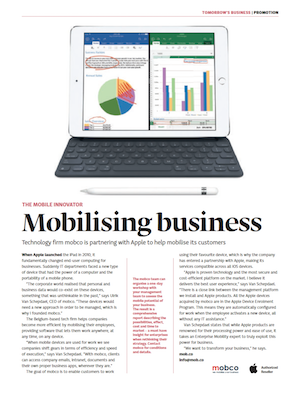 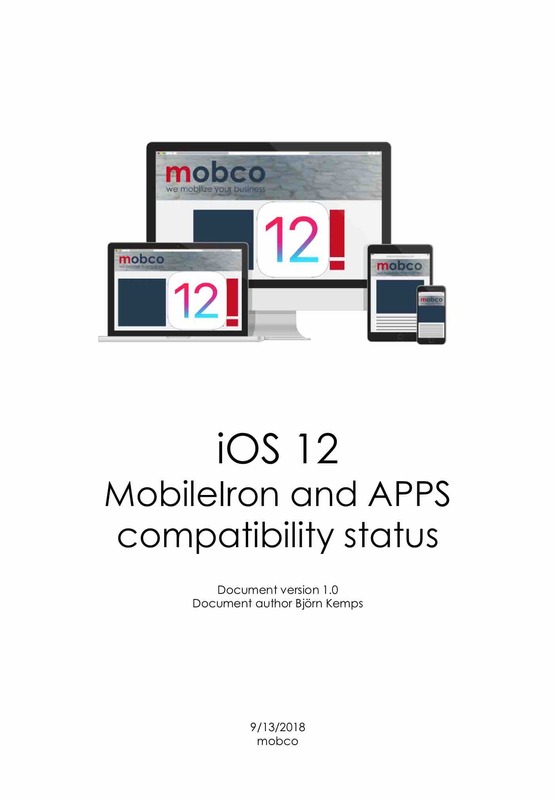 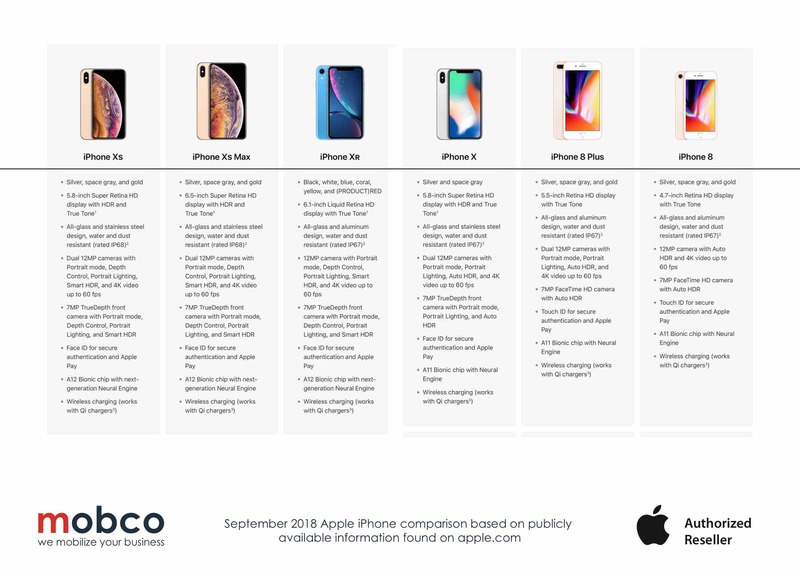 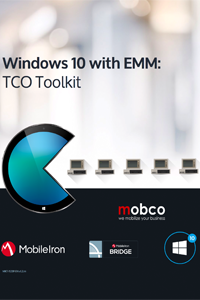 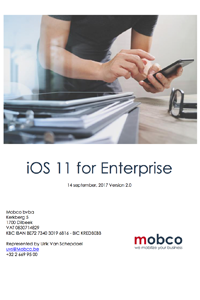 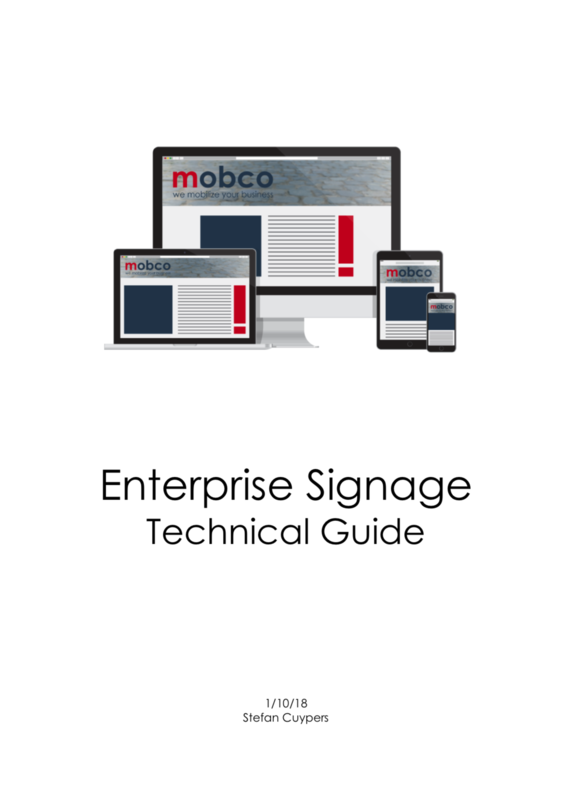 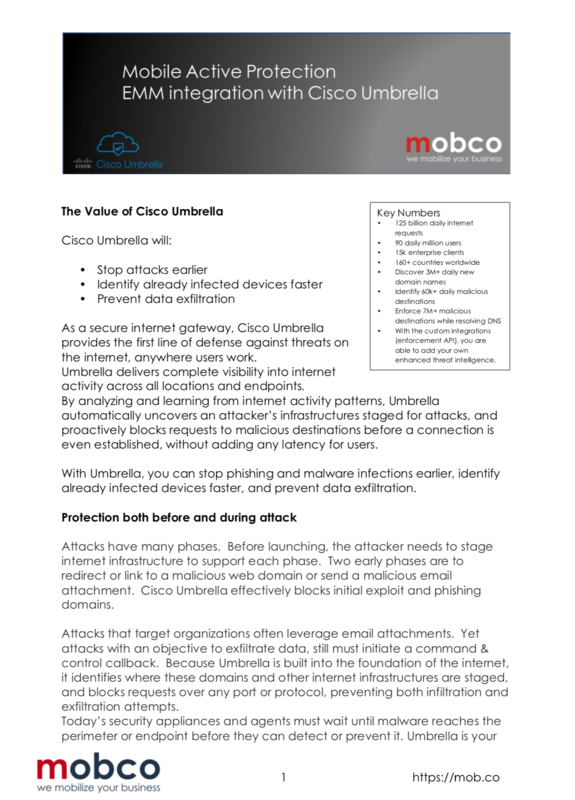 mobco, a leading provider of managed mobile technology since 2010, today reported it has become an Apple Authorized Reseller. 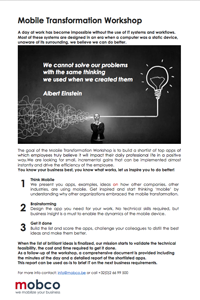 Getting together with business and IT people to define what app would really make a difference, the service description. 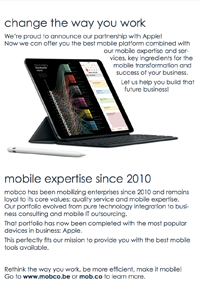 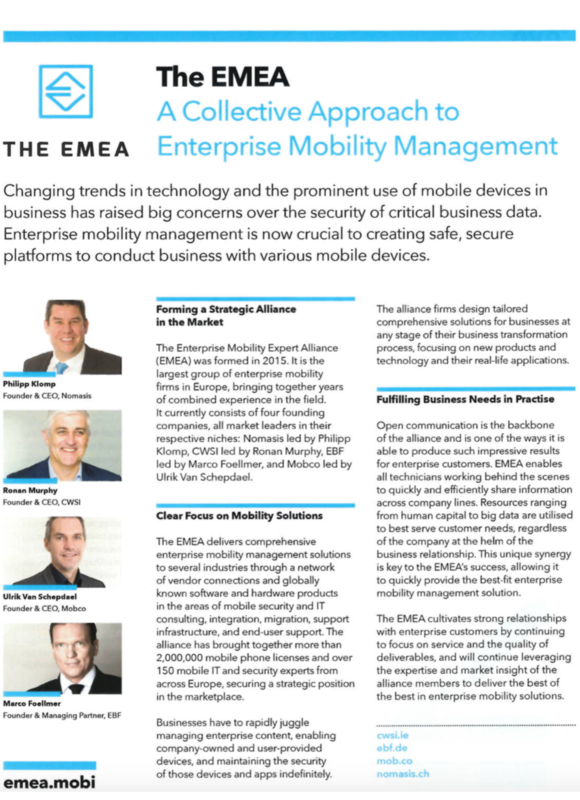 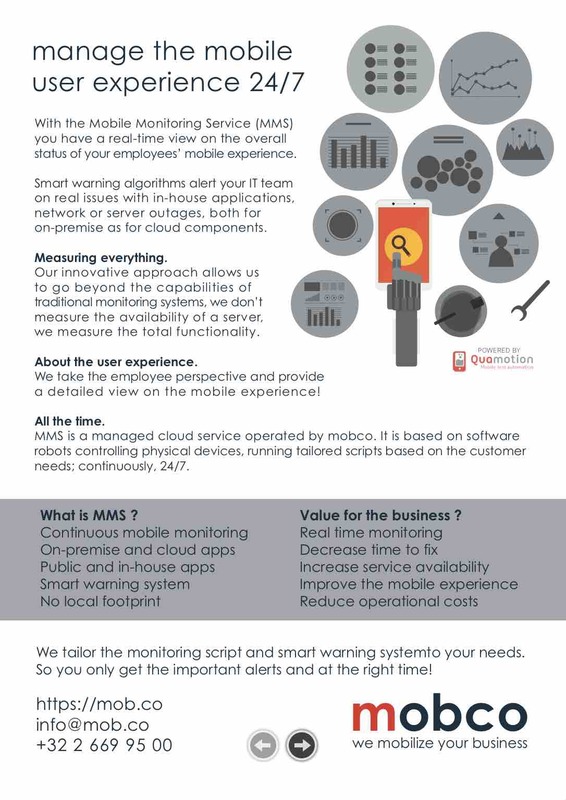 We mobilize your business, an inspirational document including all our products and services. 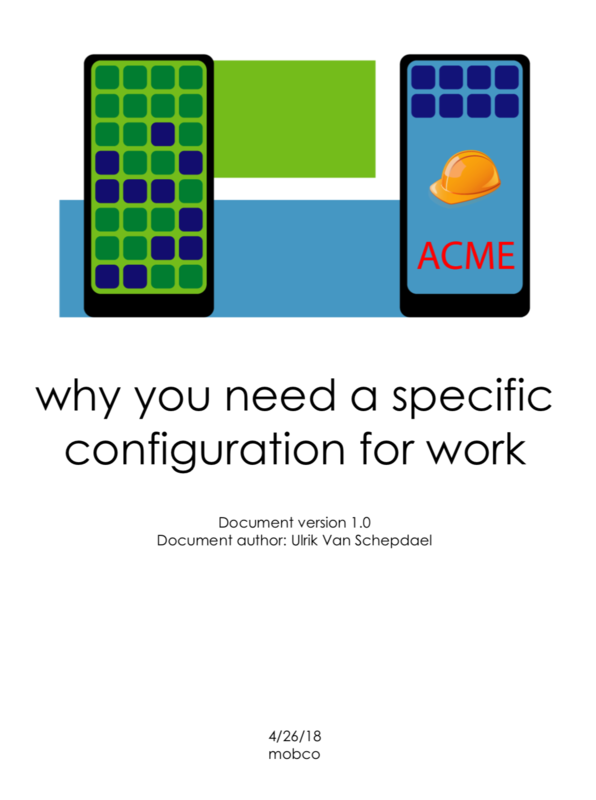 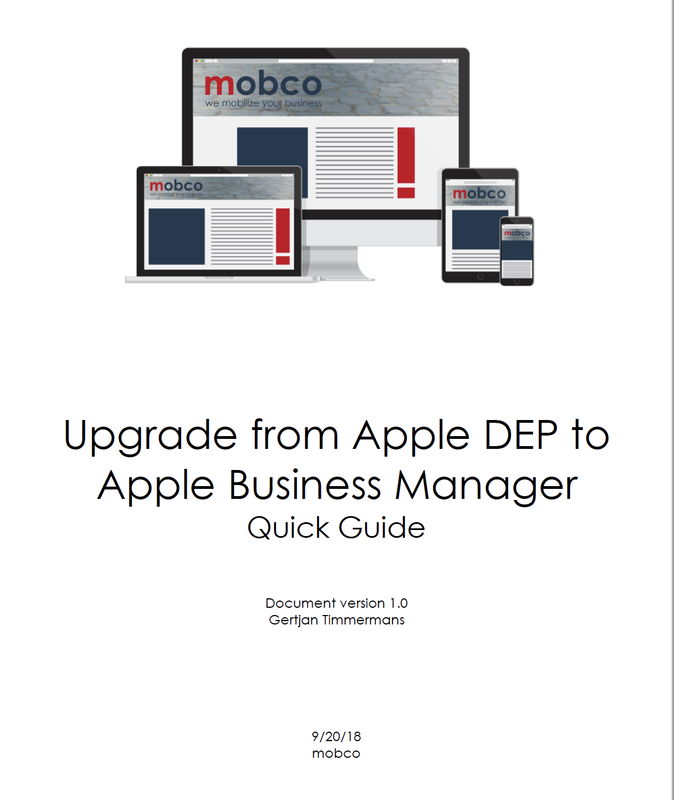 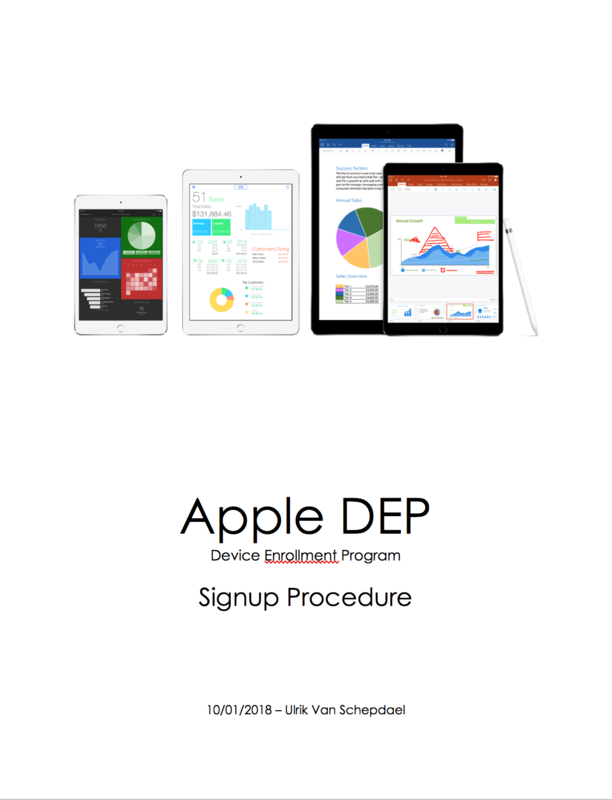 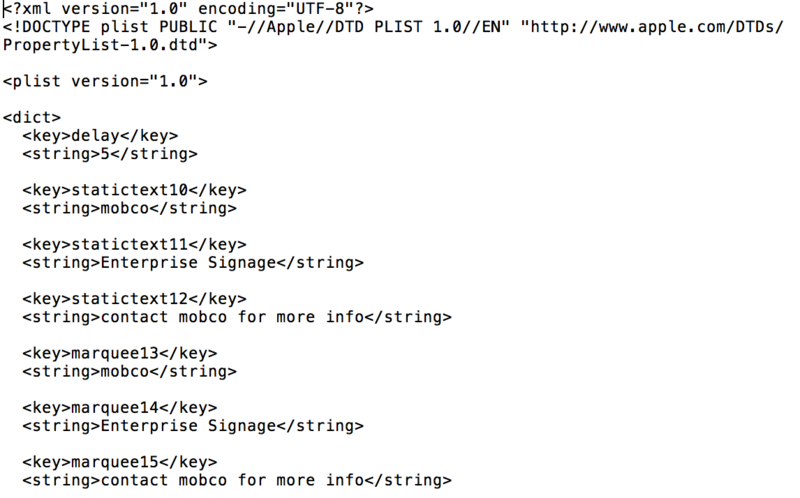 This document walks you through the process of upgrading your DEP and VPP environment to Apple Business Manager. 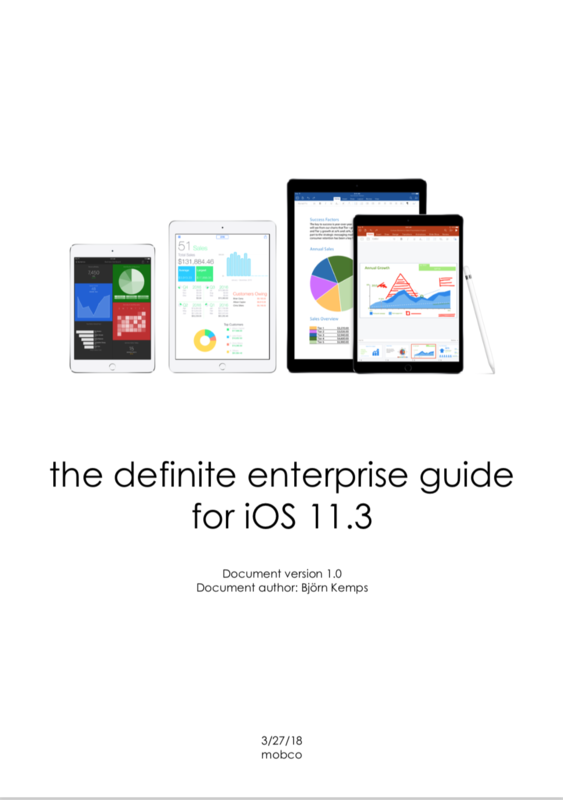 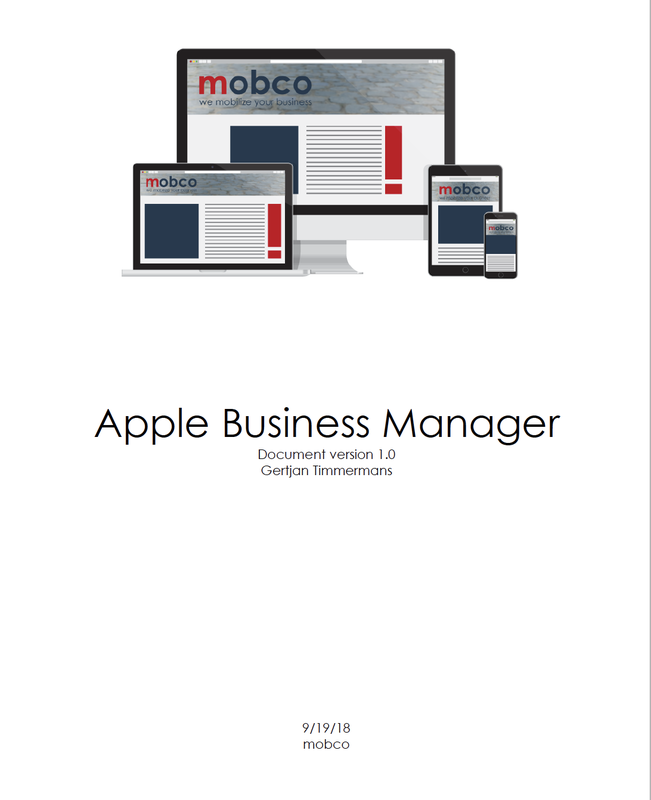 Apple Business Manager full guide.